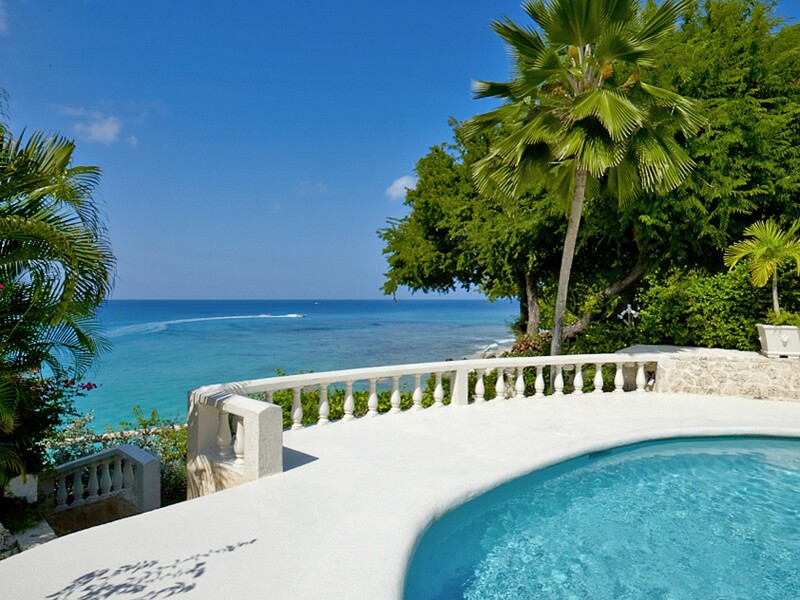 Welcome to Whitegates, one of Barbados most exceptional 4 bedroom beach front villas set on a cliff with spectacular views of the stunning turquoise Caribbean Sea. 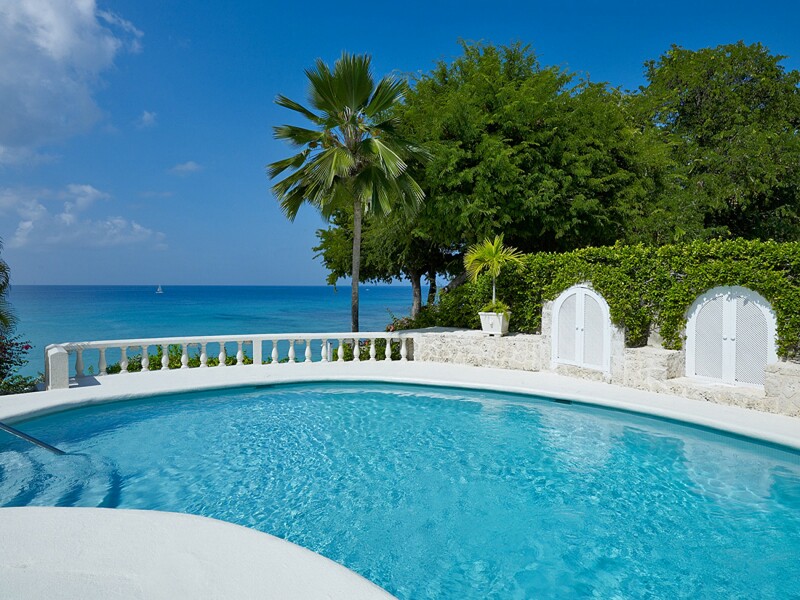 Whitegates offers one of the most private and exotic locations on the West Coast of Barbados with beach access via a private stairway leading down to the tranquil turquoise water ideal for swimming. 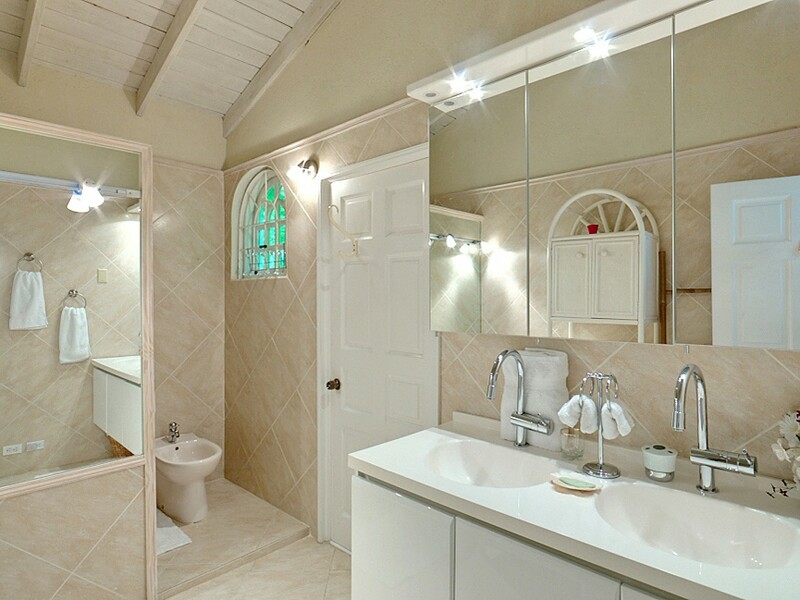 This stunning property is situated in The Garden which is Barbados’s most desirable and completely residential neighbourhood. 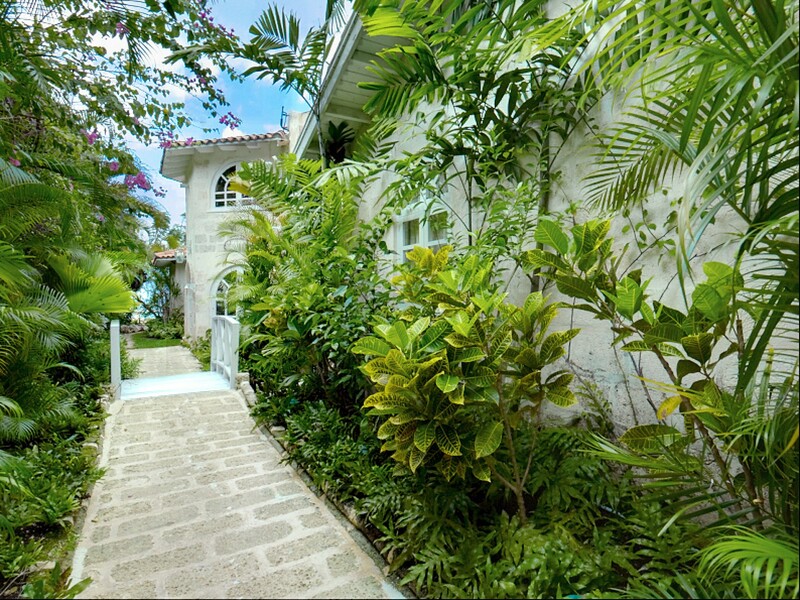 The Garden offers the ultimate in privacy and exclusivity and is located just south of Speightstown and north of Holetown. 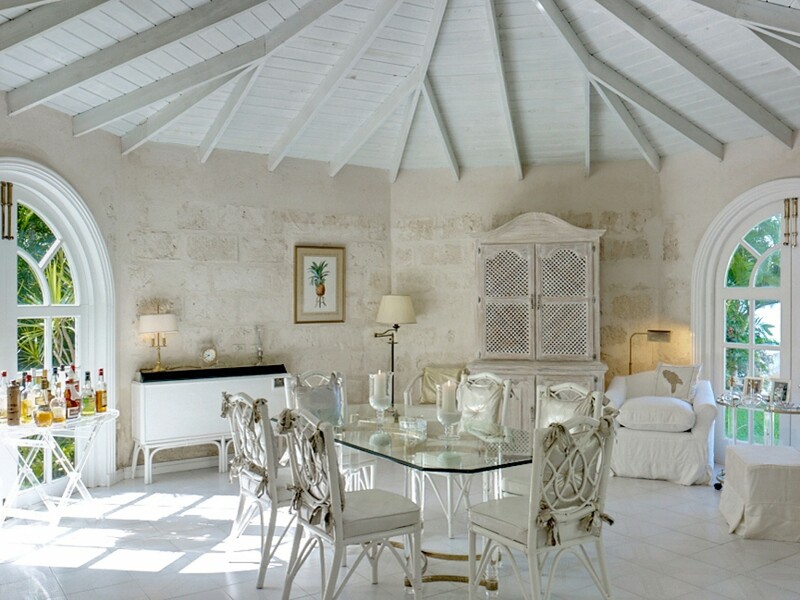 It is a wonderful and private retreat yet only minutes from some of the best restaurants, golf courses and shopping in the world. 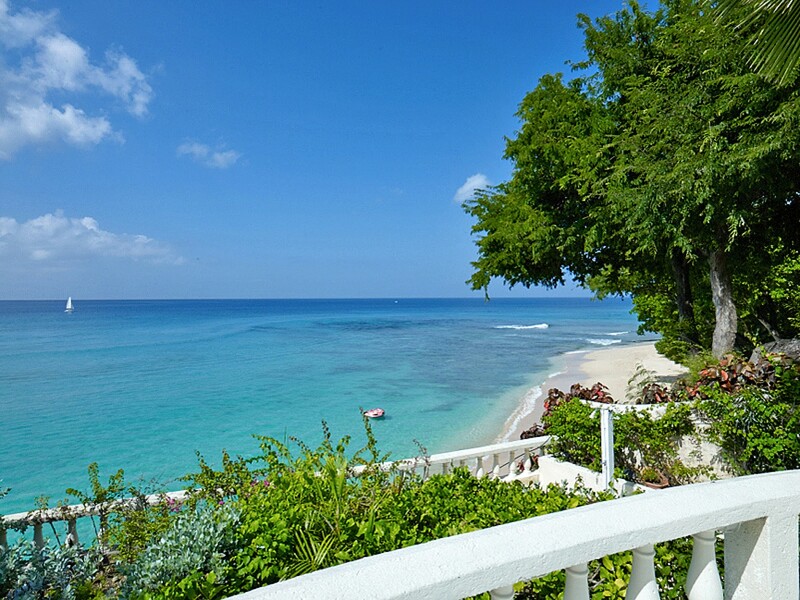 The second you step in the door of Whitegates and you see the spectacular view to the beach and crystal clear turquoise sea you will feel yourself unwinding and relaxing. 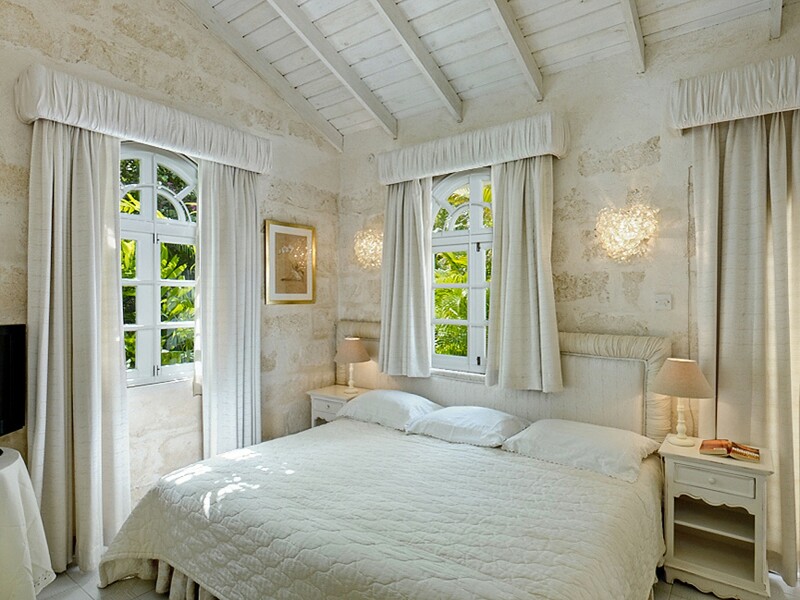 The laid back atmosphere and privacy found in this lovely beach house makes it a complete sanctuary. 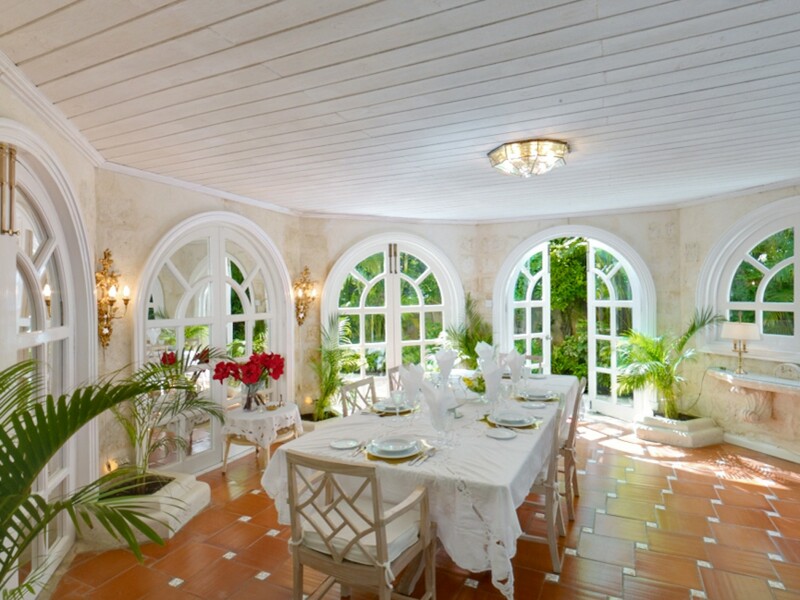 Whitegates has two indoor dining rooms; one is formal and the other informal. 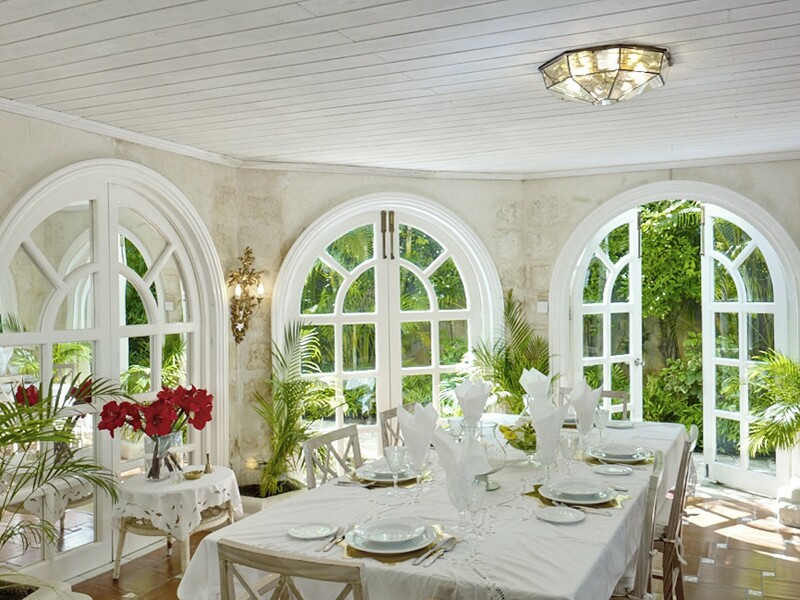 Both dining rooms have large arched French doors that open out to the property's tropical gardens. 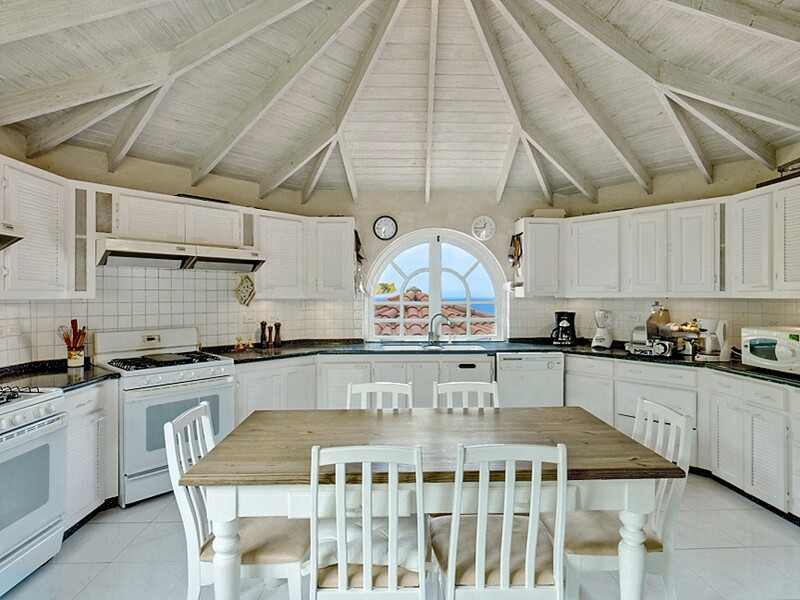 Next to the formal dining room is the living area that is bright and airy with many arched windows that capture sea views. The living room opens up to a covered terrace and a large kidney-shaped swimming pool. 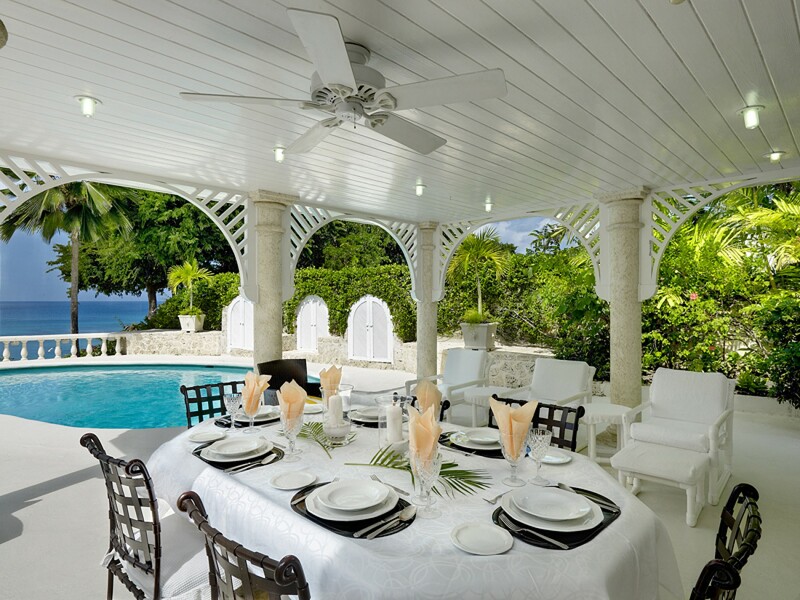 The terrace has alfresco dining and a wet bar making it a lovely place to have lunch in between cooling dips in the pool. It is also the perfect place for relaxing, enjoying a cocktail or dining with friends and family. 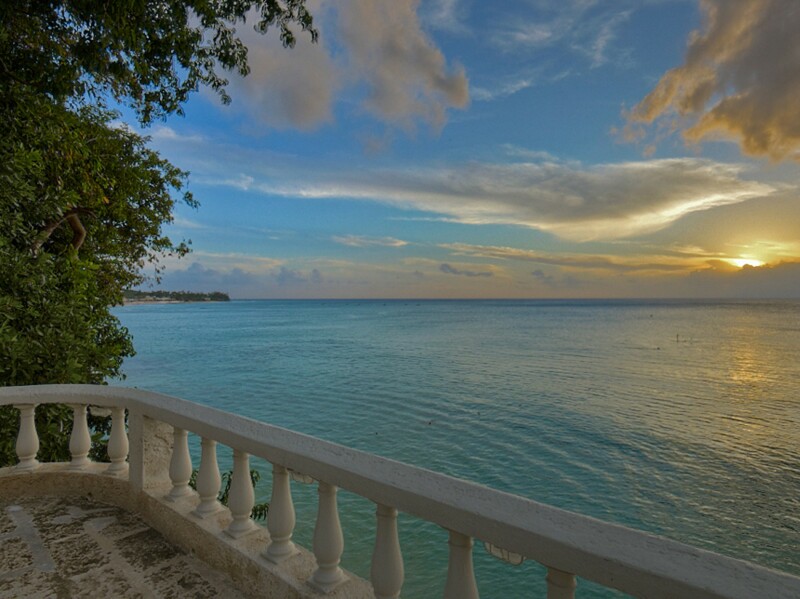 There is a smaller terrace right by the edge of the cliff where you can lounge and watch breathtaking sunsets. 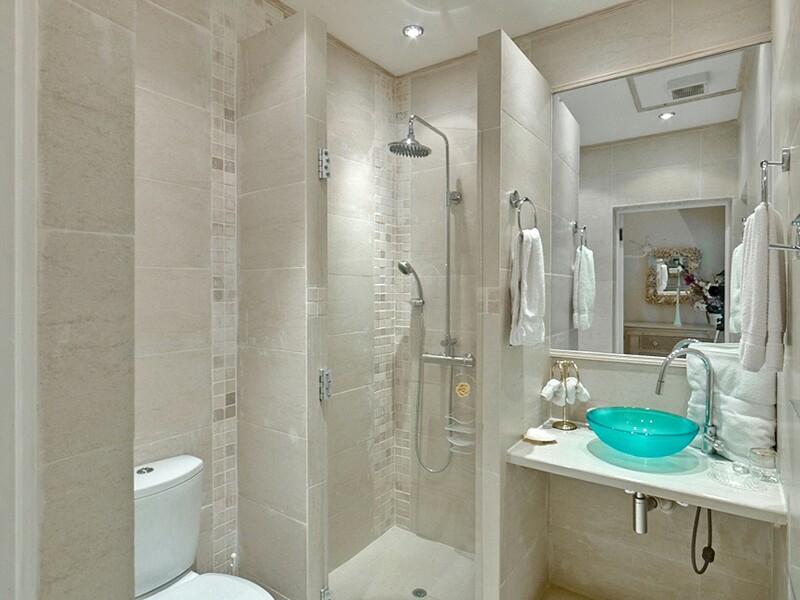 STAFF Just so that you feel totally pampered, Whitegates comes with a wonderful housekeeper who will be on hand to look after you six days per week. Whitegates also provides a chef to cook you amazing local dishes. 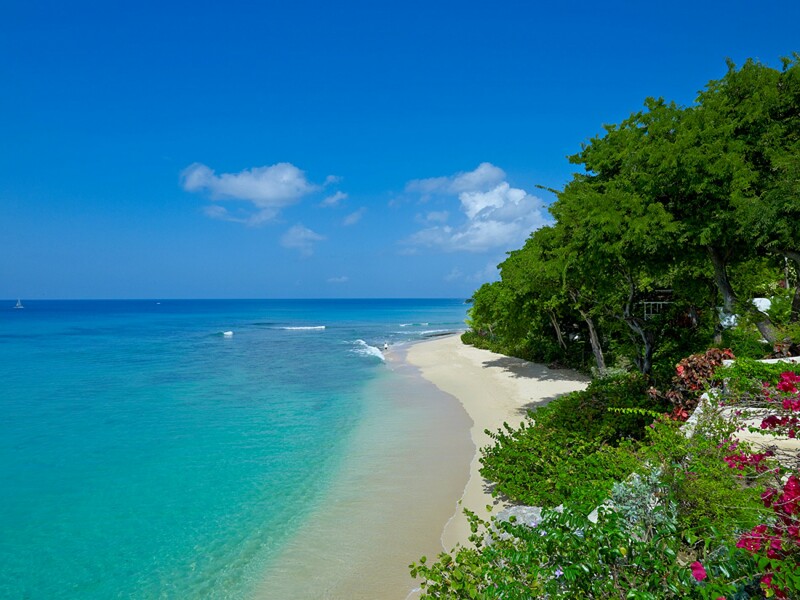 If you do decide to leave the sanctuary that is Whitegates, there is an incredible selection of wonderful beach side restaurants just a short drive away. If guests do require staff to work on local Bank Holidays, this will be an additional charge. Read more about The Garden. Our family had a wonderful week at Whitegates recently. The staff (Jenn & Lisa) were amazing hosts and cooked up tantalizing dishes every day. The pool area was spacious and the kids had great fun !! The best part of this property is the amazing sunsets. Sitting outside having dinner while watching the Caribbean sun gracefully lowering to the sea is truly a memorable experience. Thanks so much. We are having a wonderful time. The staff is terrific. 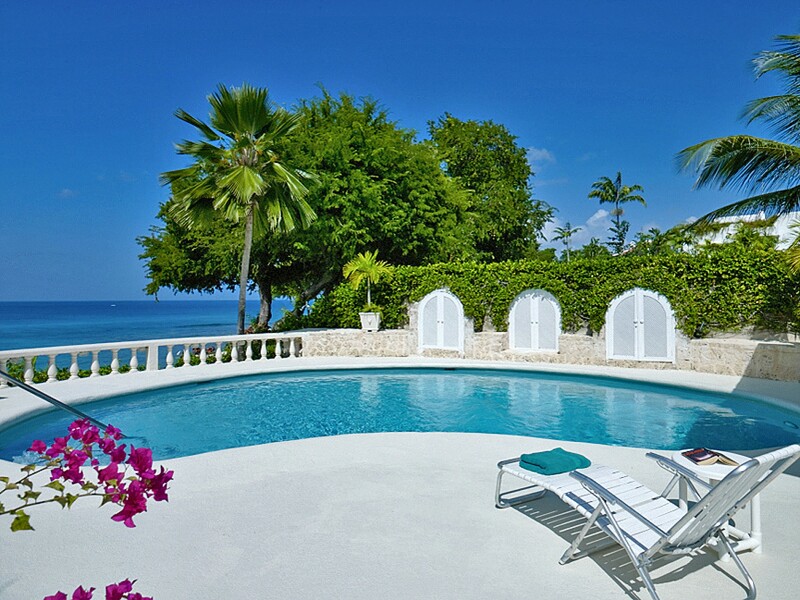 Whitegates is one of the few standalone villas in Barbados. 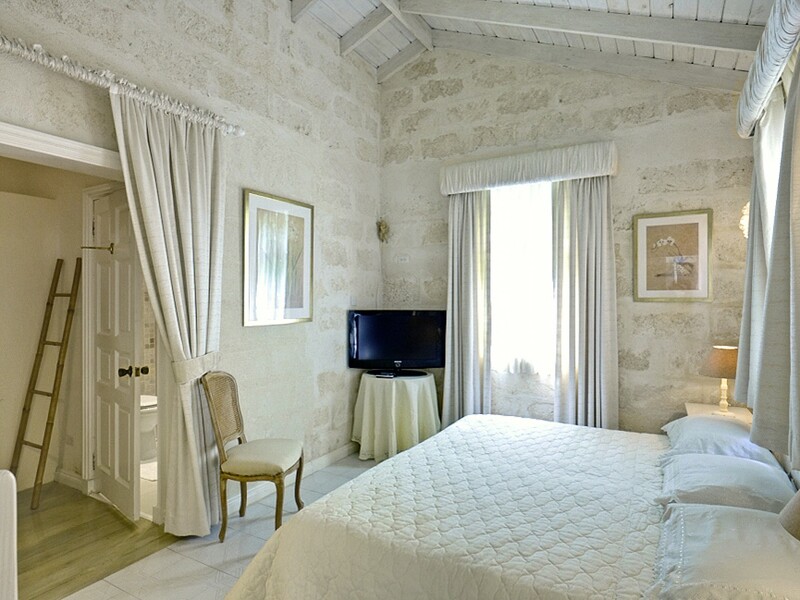 The villa offers a great location and is very private. You can reach the water and beach below by walking down some steps. 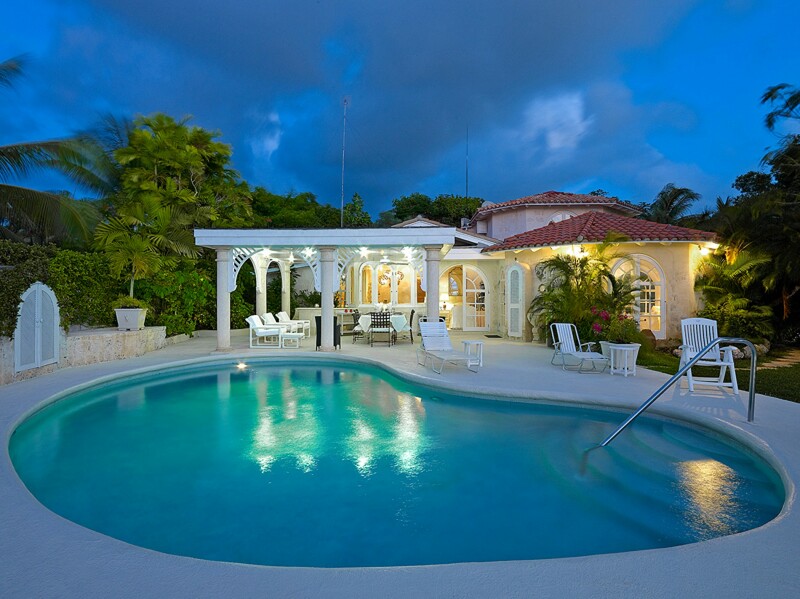 The pool and outdoor area is really stunning. 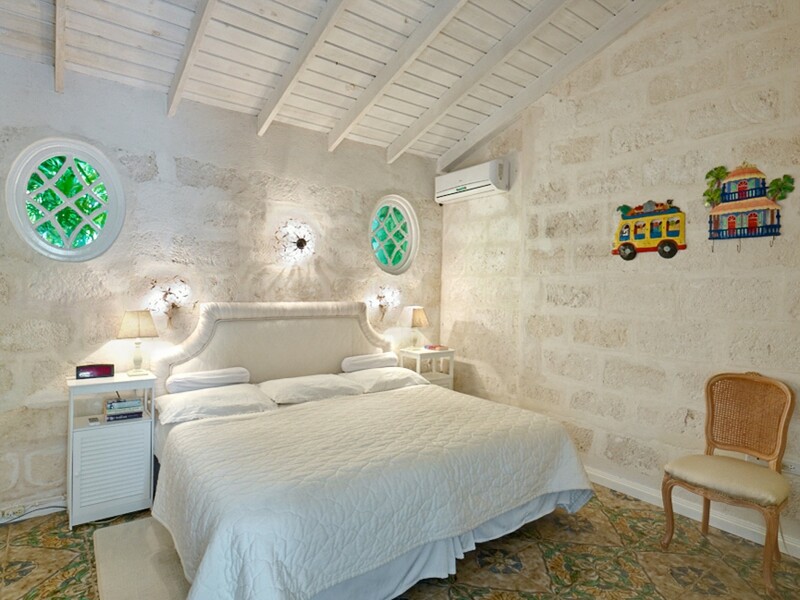 The downfall of the villa is the interiors and in particular the bedrooms. 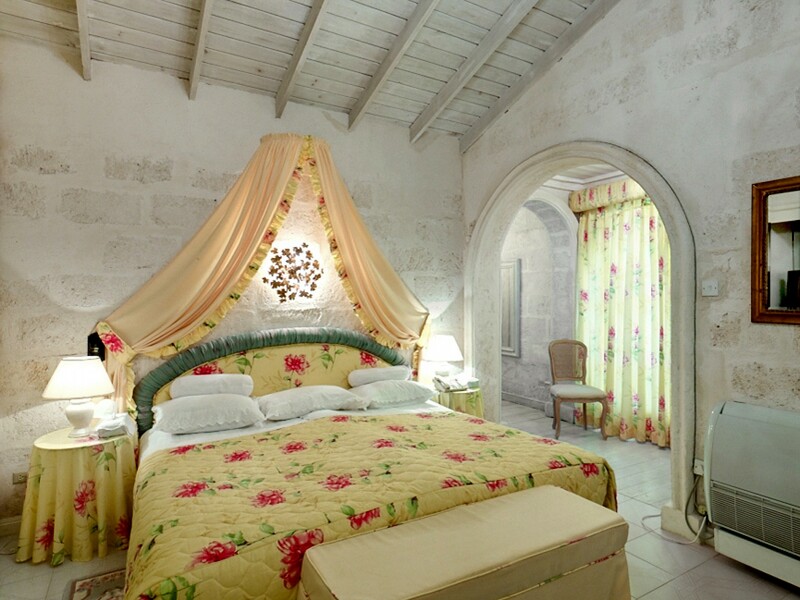 The bedrooms are very traditional and are in need of updating in my opinion. 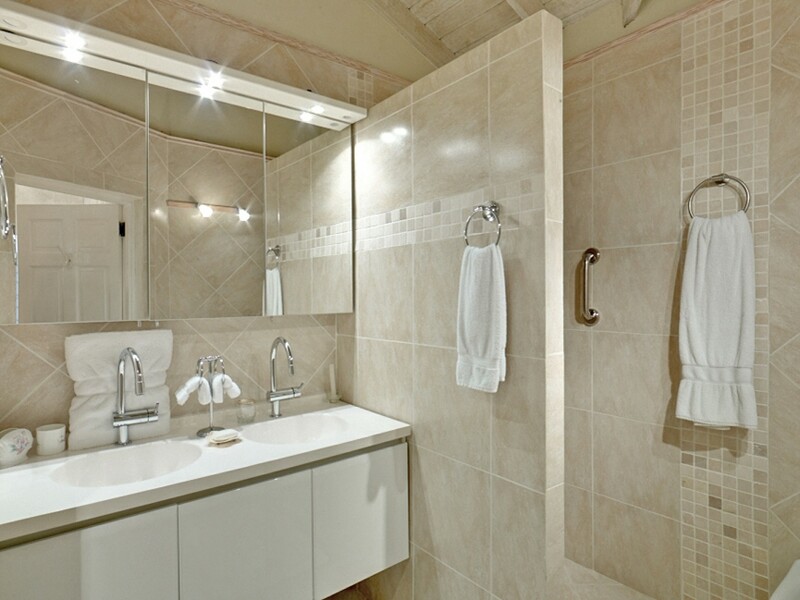 The property has wonderful staff and recently upgraded their bathrooms which is a great addition to the house.